After six months, you must be delighted with what we’ve achieved, or we’ll give you all your money back. No limitation on the number of pages. Need images? No problem, photography can be included. Not sure what to write or you struggle with content? We will write the persuasive content for you. Not sure where to start? This is what we recommend. Check out some of our client success stories below. Get in touch for a free, friendly chat with myself to see how I can help. Slim Bodyline are a small but leading beauty clinic based in Oxford Street, London. We've turned their website from zero to hero, bringing them over 60,000 visitors and 500 new customers in the last 12 months. 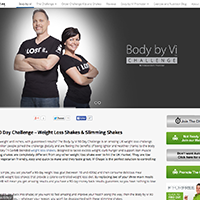 Advanced Fitness are the number one online promoter of the Body by Vi 90 Day Challenge and weight loss shakes. Launched in April 2013, we've attracted 35,000 visitors, 80,000 page views and generated £1000's of new business. We have designed websites and pages for multi million pound companies, through to start up's and sole traders. Internet marketing is painful for most of my clients. They have no idea how to do it, but worst of all, they are scared they are going to get left behind. That's where I help. 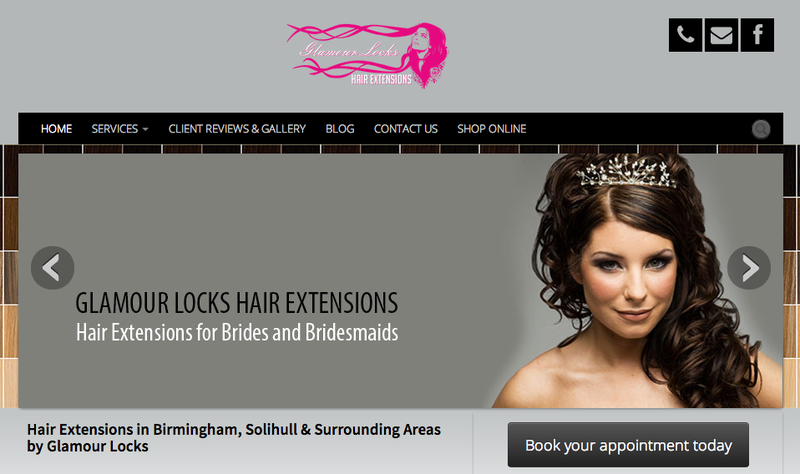 How a beauty salon website got 60,000 visitors in 12-months - Case Study on how we generated over 60,000 website visitors in 12-months for a small beauty salon in London. Includes details on how the website generated over 500 new customers and practical tips to help your beauty business. 96% of visitors to your beauty website will not buy on 1st visit - We explain why 96% of visitors will not buy on their first visit to your beauty website. We give advise on how to get repeat visitors and new customers. Number 1 reason your beauty website is not attracting visitors - Learn how to build a truly great beauty website and attract lots of visitors and new customers. We explain the #1 reason your beauty website is not working. David Vidgen has over 20 years experience in the health and beauty markets. David has a comprehensive understanding of your customers, their behaviours, how they use search engines and what turns them from strangers into customers. The design and navigation of your website is absolutely paramount when it comes to converting visitors into leads. We specialise in highly functional, converting websites. We go beyond building functional websites. You want a website that brings new visitors, leads and customers via search engines and inbound marketing. 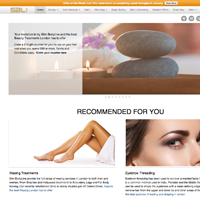 Your website will be eCommerce ready, enabling you to sell beauty products and services onlines. Carefully built and positioned call to action buttons, will help you capture names and email addresses for marketing purposes. Beautiful photography and imagery will ensure that your health & fitness related website is professional and stands out from the crowd.